SunCatcher Pontoons by G3 Boats is proud to announce the newest member of the Diamond Elite Series - Diamond Elite 326 SS. This Diamond Elite is worthy of it's name Elite featuring unsurpased quality and luxury at every turn. The Diamond Elite 326 SS has the power of Yamaha behind it with a maximum horse power rating of 250. 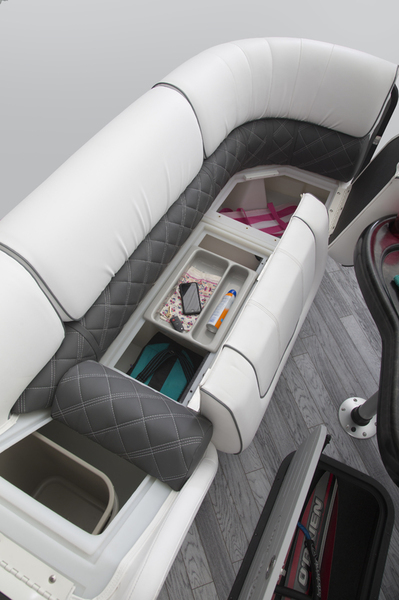 There is plenty of relaxation to be had onboard with seating up to 15 lucky passengers. 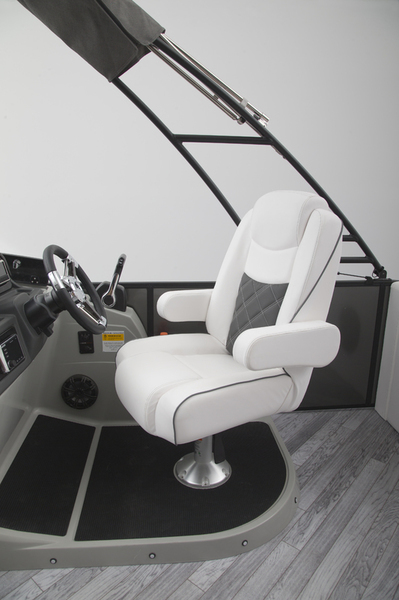 Get out on the water today and enjoy the luxury of a SunCatcher pontoon. 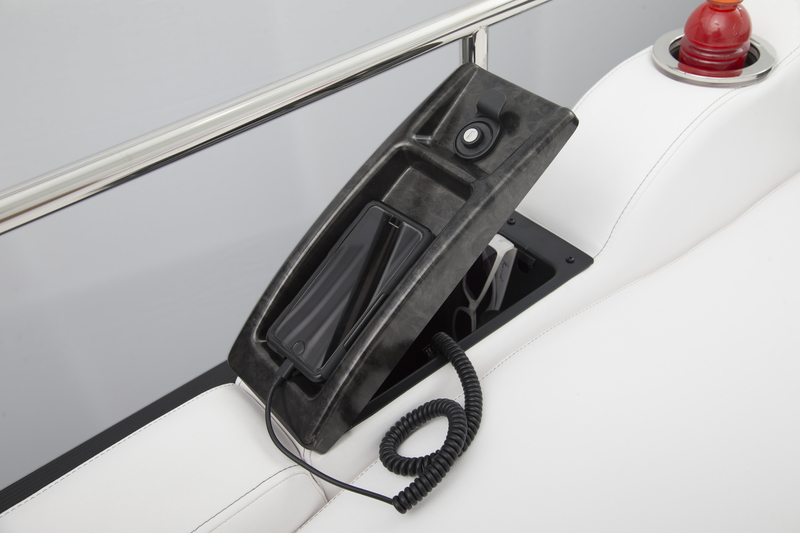 Convenient charging station is within reach of the Captain's helm chair.